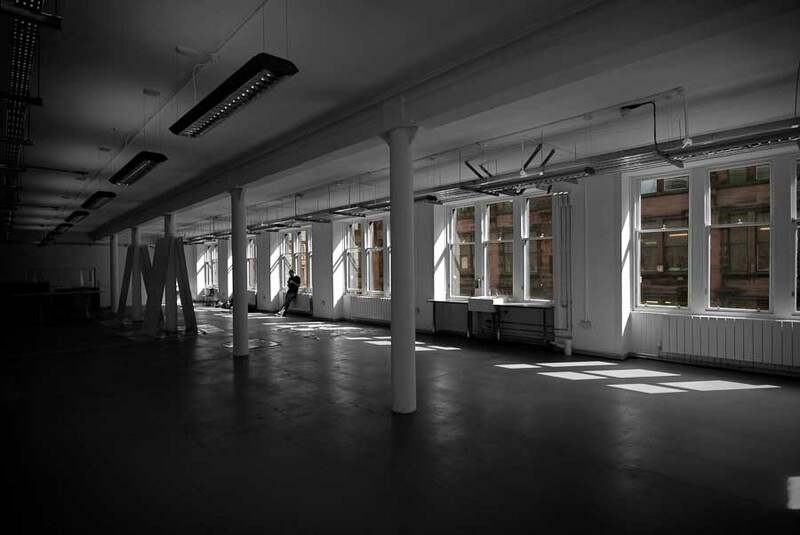 As the first phase of a redevelopment programme to create an Arts Quarter, Trongate 103 has been formed as a new creative hub, giving access to linked galleries, a restaurant, exhibition areas and workshops. 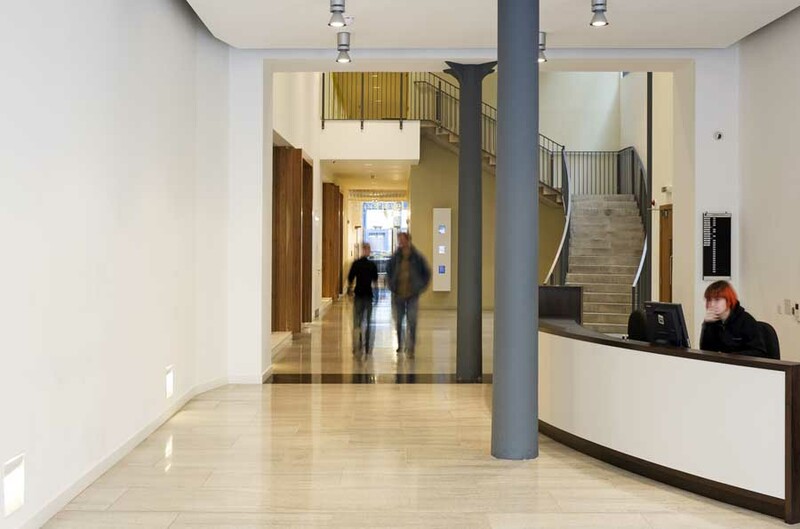 The site consisted of 3 B-listed buildings, which needed substantial restorative repair work both internally and externally. 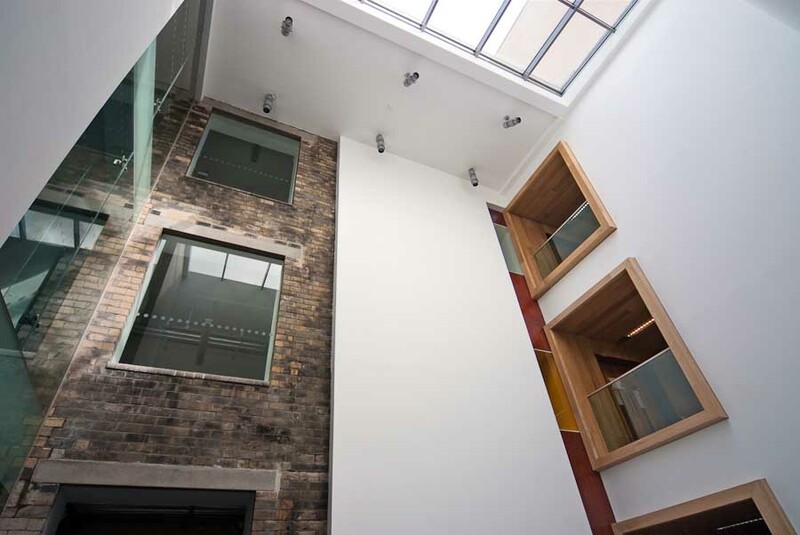 At street level, the building has been opened up with the introduction of full height shop front glazing on all elevations to allow a much more accessible relationship with the streetscape and to encourage public interaction with the building. A new formal “unified” entry has also been created on the Trongate elevation to allow visitors a focal point prior to entering the building. 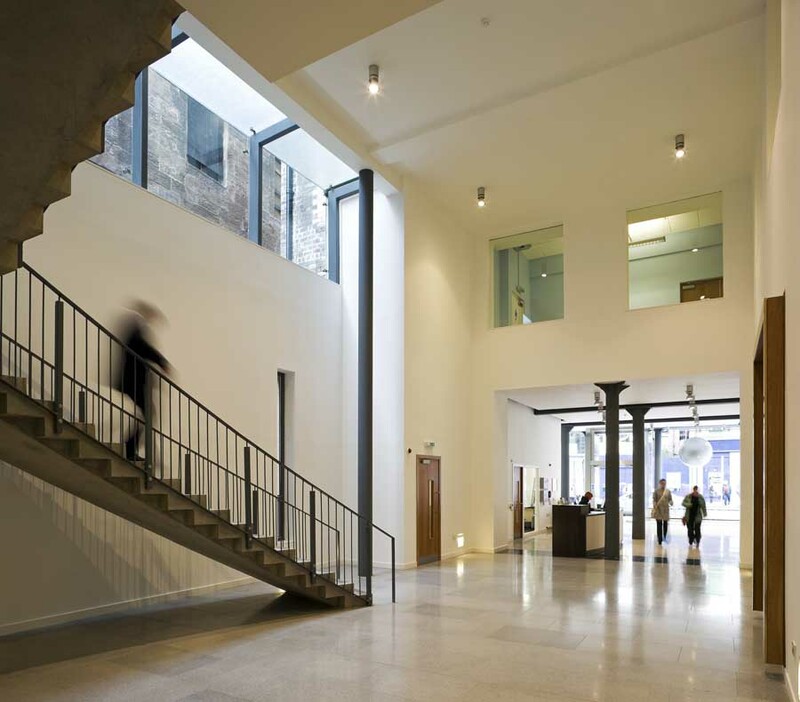 Glasgow’s new centre for the arts and creativity, Trongate 103, will open to the public on 12 September. The centre will be home to eight of Scotland’s most diverse and vibrant arts organizations, and the first weeks of its existence will feature a host of events for the public to attend. 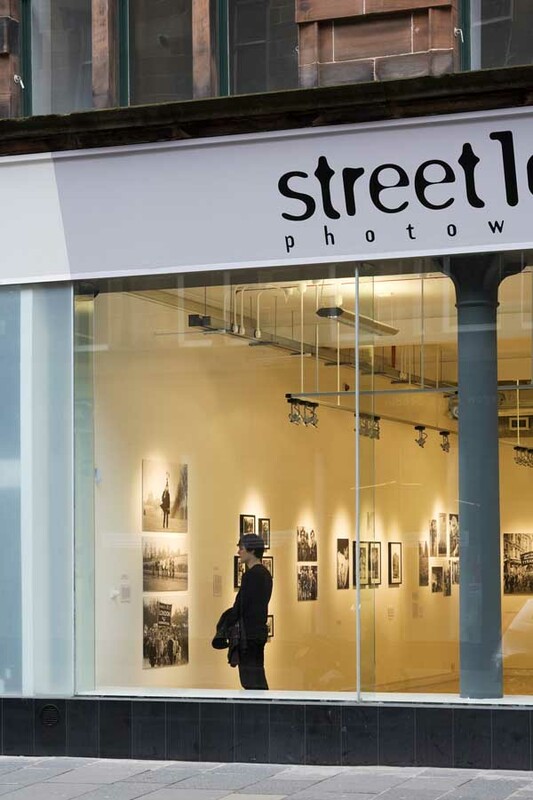 Funded by Glasgow City Council, The National Lottery through the Scottish Arts Council, Scottish Enterprise and The Merchant City Townscape Heritage Initiative, Trongate 103 will offer opportunities for the public to participate in, view and buy a wide variety of art. Trongate 103 will be a landmark in the story of Glasgow’s cultural development – as well as a unique home for some of Scotland’s best known artists and creators, including Glasgow Print Studio, Street Level Photoworks, Transmission, Glasgow Centre for Media Access (GMAC), the Russian Cultural Centre, Glasgow Independent Studio and Project Room, Sharmanka Kinetic Theatre and Project Ability. September will see number of events and activities at Trongate 103, including the opening weekend on the 12th/13th, the Doors Open Day weekend on the 19th/20th and the Merchant City Festival from the 25th – 27th. The opening weekend will feature printing, self-portrait and board painting workshops, short film screenings at GMAC, a Russian costume party, an opportunity to view the archives of Glasgow Print Studio, live music and taster performances from Sharmanka Kinetic Theatre. 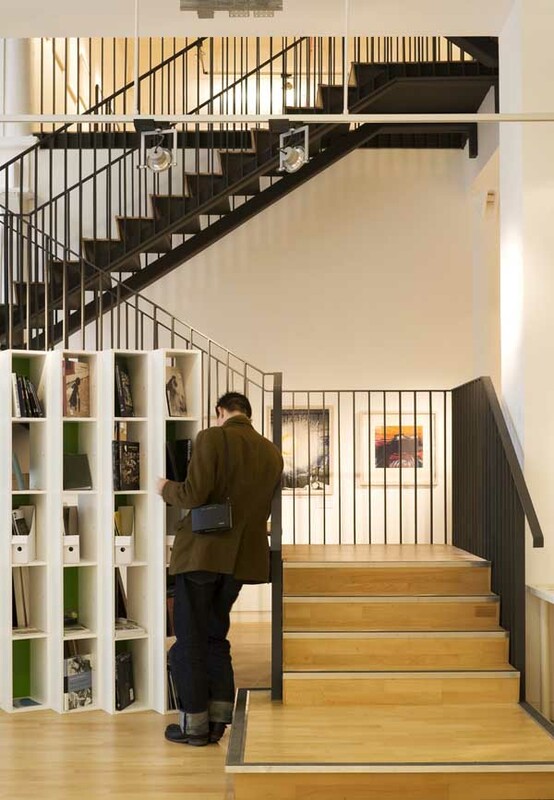 The Doors Open Day weekend will present the opportunity to take a tour of Trongate 103, enjoy a tea, pancake and music special at Café Cossachok, and listen to talks from the project artist and architect involved in the refurbishment project. The Merchant City Festival at Trongate 103 will offer the opportunity to participate in a collage workshop with Project Ability, witness the Mechanical Orchestra commissioned in collaboration with Sharmanka Kinetic Theatre, and listen to the Rostov Youth Jazz Band and a talk from legendary photographer John ‘Hoppy’ Hopkins – known for his work with beat poets, rock stars and figures such as Malcolm X and Martin Luther King – at Street Level Photoworks. The talk will be facilitated by broadcaster John Cavanagh. 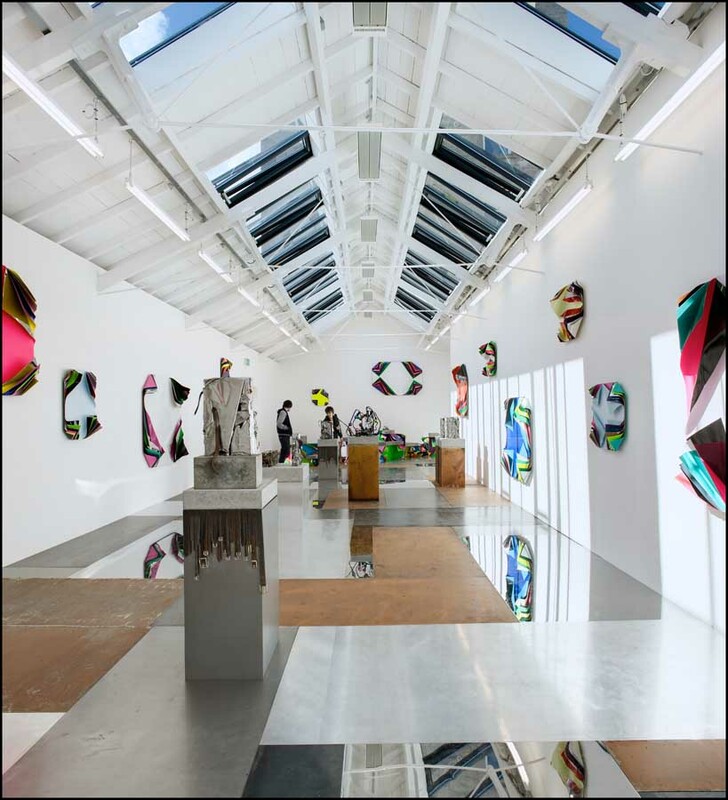 For more information on Trongate 103 and full details of its opening events programme, please visit www.trongate103.com. Many of these events and activities are free. 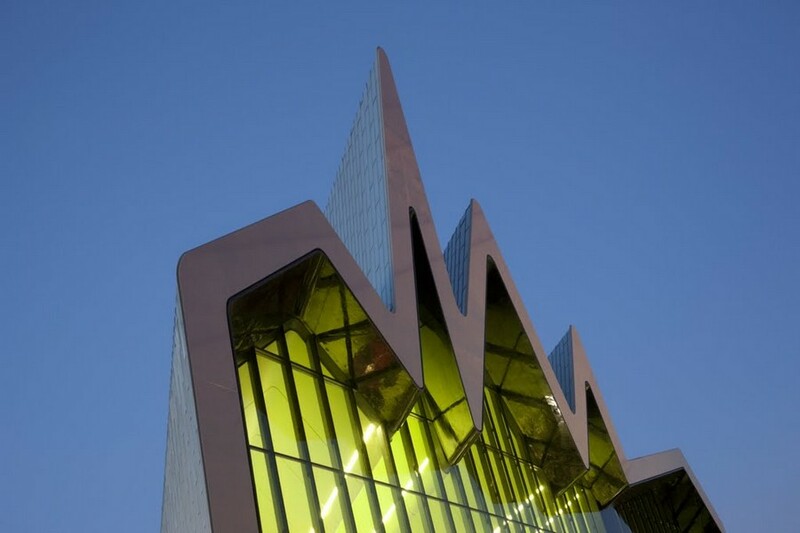 The project has been driven forward through the collaborative efforts of the eight arts organisations in partnership with Culture and Sport Glasgow, who have led on the creation of a joint vision for the project from its earliest stages, and the supporting design, access and audience development plans that support this vision. 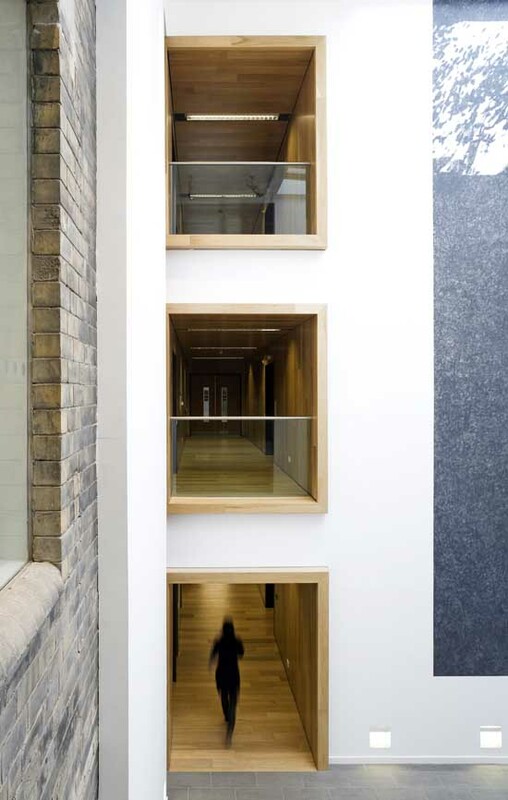 Trongate 103 sees the development of an existing six-storey Edwardian warehouse into a creative hub for the production and exhibition of contemporary visual art. 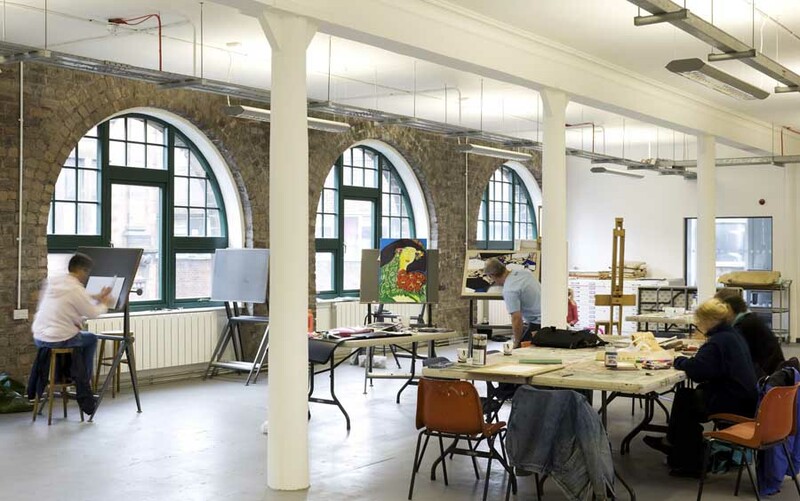 It will house galleries, workshops, artists’ studios and production spaces supporting the creation of art in a wide variety of media including printmaking, photography, digital media, film, video, kinetic sculpture, painting and ceramics. There is no other facility like this in the UK – and few others in the world – in terms of supporting such a broad range of practice. 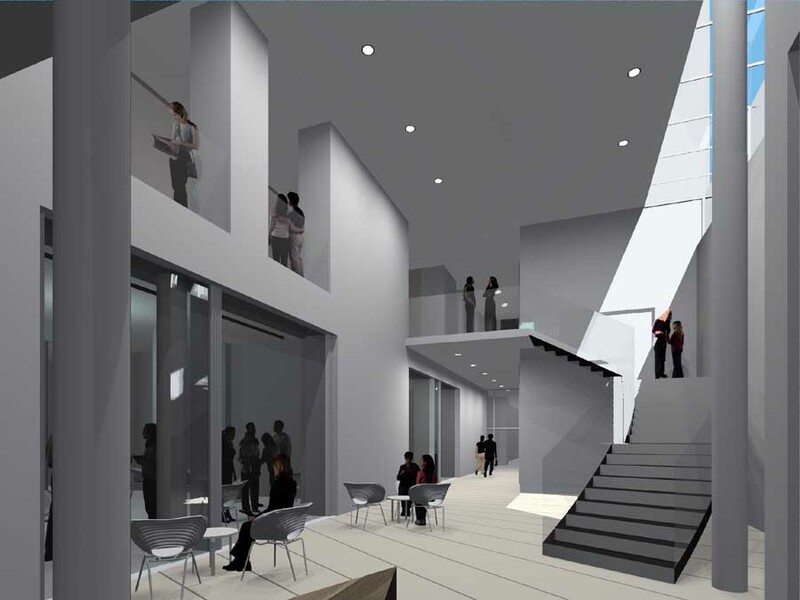 At the same time as supporting the careers of professional artists, the building will offer opportunities to members of the public to view, make and learn about art in an environment that values the creativity of all. Trongate 103 will offer classes and training courses for members of the public, curriculum based education programmes for schools, and tailored outreach projects for youth and community groups.